Diet relapse is a very common occurrence when you tend to eat very “clean” for a given period of time and then fall off the wagon and overeat thus setting yourself back. This can happen at random times, but it can also follow a pattern. Two of the more common patterns of dietary relapse is eating well all day, but falling off at night, or eating well all week and falling off over the weekend. Such a relapse is usually followed by a sense of guilt or shame and a resolve to eat even cleaner the following day or week. Why does a diet relapse happen? First off, a diet relapse does not usually happen due to a lack of discipline or self-control. Instead, it’s the natural consequence of the stress cycle. The stress cycle is a natural law that shows how stress builds up over time until it can be released. Then the stress starts to build back up and the whole cycle starts again. 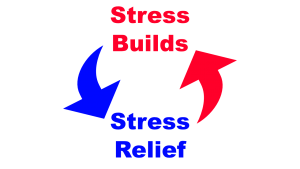 The more stress builds up, the greater the release and vice versa. The biggest mistake made today regarding diet and eating right, is basing your dietary strategy on deprivation and restriction. So many diets are about restricting calories, or carbs or food types. Such restriction can often create stress, and the more restrictive you are the more stress you build up. This includes physical stress, emotional stress, and mental stress. What can you do to prevent a diet relapse? First off, recognize that you can’t prevent a diet relapse through sheer willpower and self-control. Trying to do that will only force you to endure more stress and set yourself up for an even bigger diet relapse. Second, you can start to base your dietary strategies on satisfaction rather than deprivation. 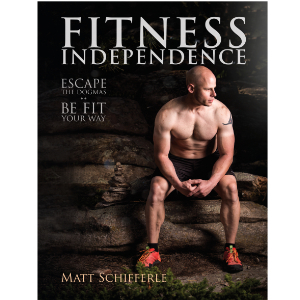 I go into more detail on this here and in my book, Fitness Independence. Essentially, using diet as a means to relieve stress, rather than induce it, will reverse the process of the stress cycle and prevent diet relapses for good. My first book, Fitness Independence, explores how you can use diet to reduce stress rather than induce it. Using diet to relieve stress is a great strategy, but it only works when the source of your stress is dietary deprivation. Sometimes, the source of stress isn’t from dietary deprivation but other things in life, such as work or social challenges. In those cases, a change in diet won’t help much. All of the food in the world won’t make that stressful project at work go away. Running a Clenbuterol weight loss cycle is one of the most effective ways to cut excess fat after a rigorous bulking routine. In that case, search for healthy ways to handle the stress in your life without always turning to food. Get outside, engage in social activities or pick up a fun hobby. Often times, modern sources of stress are hard to deal with simply because we’re not having enough fun in life. Fun isn’t just for kids, or during holidays. It’s something all adults need on a daily basis to relieve the stress of the day and to stay sane.